Mark at work hand-lettering a ready-made box. 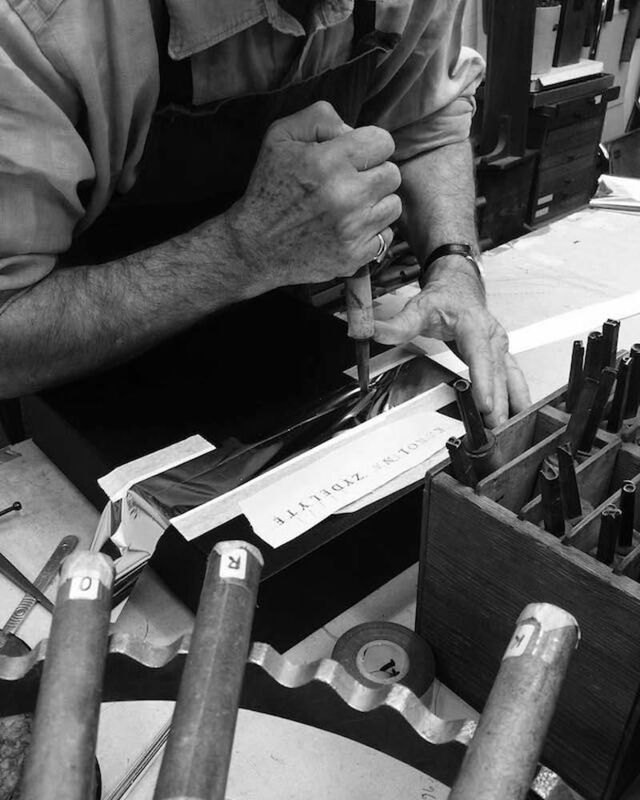 The Wyvern Bindery binds bespoke books beautifully. 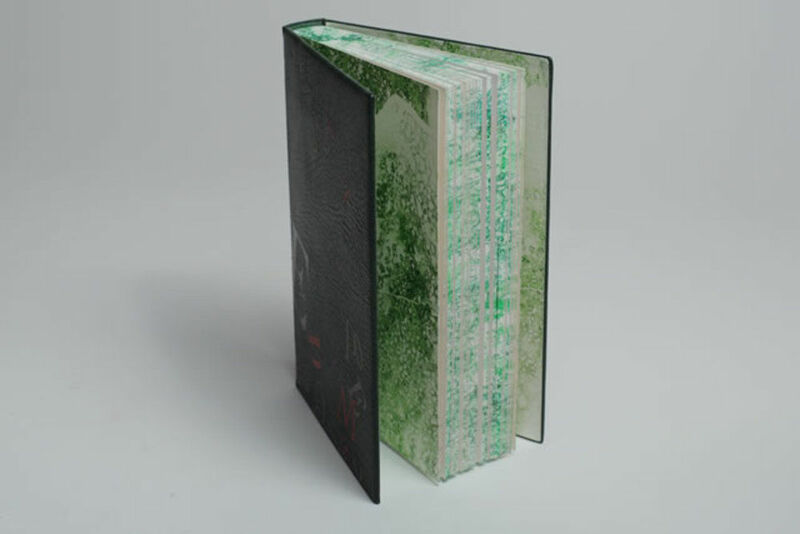 What sparked your interest in book arts, and how did your career develop? In the Seventies, I worked in a second-hand book shop in Hay on Wye and found old books intriguing. 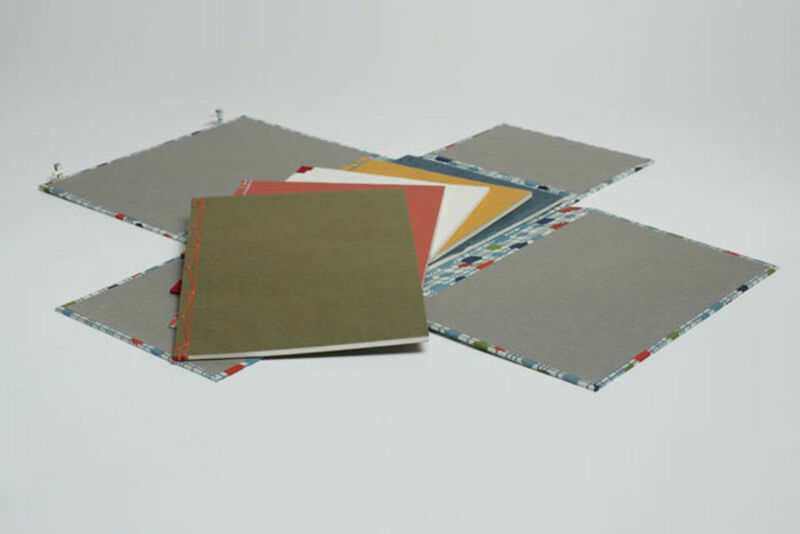 After spending a year at the London College of printing, learning Craft Book Binding, I was hooked. I spent five years learning my craft in a large manufacturing bindery. After another five years at Collis, Bird and Withey, I set up the Wyvern with Hannah More and Rosie Gray. 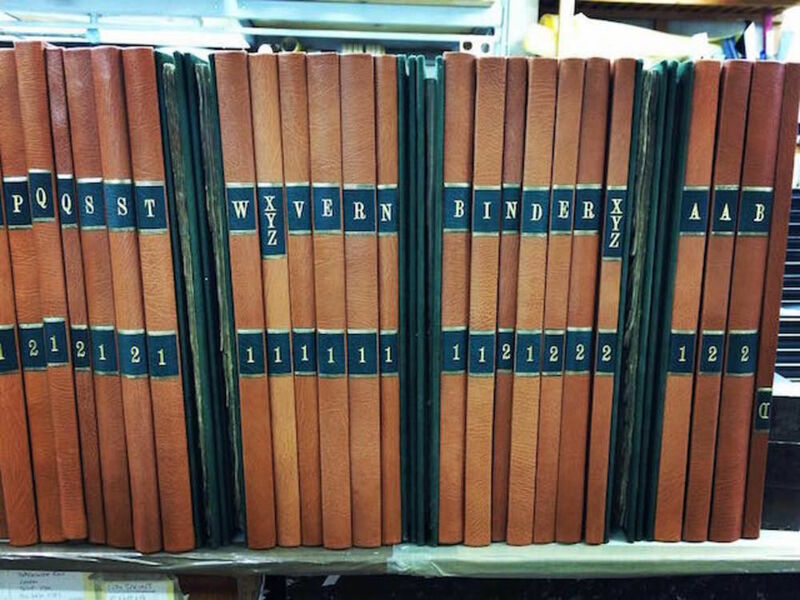 What's the history of Wyvern Bindery? Founded in 1990, we started in tiny workshop in Clerkenwell Close and after five years moved to Clerkenwell Road, where we have flourished. Over the last 27 years, we have trained over 30 binders, many of whom have left to start their binderies all over the world. Threads for Wyvern's hand sewn head and tail bands. Letter stamps for cover embossings. Our day starts at 9am with tea. The phones will start ringing; a good sign. 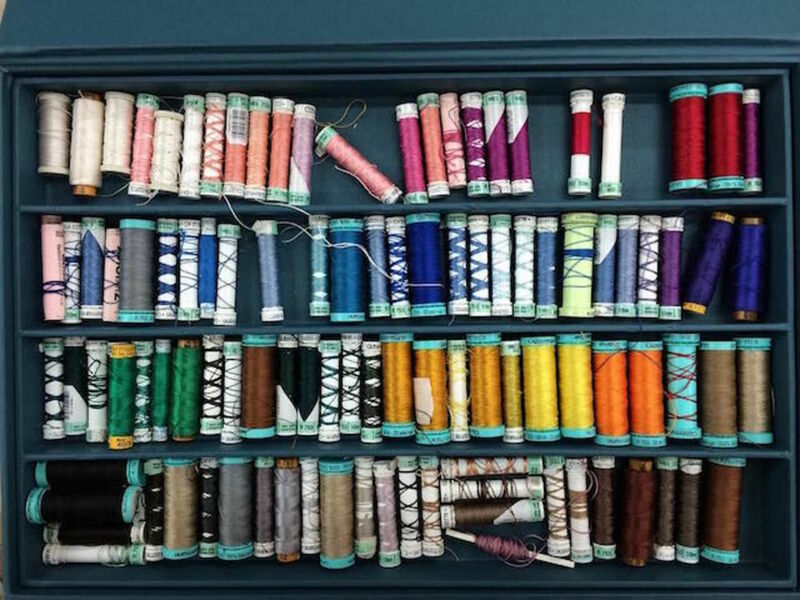 The seven or eight binders will start their work, be it sewing, cutting materials, repairing old books, lettering the spines of magazines or talking to customers. At 11am we have tea. At 1pm we have lunch for an hour; and at 3pm another cup of tea. At 5, we call it a day. What kind of clients do you work with, and has this changed at all in recent years? Our clients are a very varied bunch, from old ladies with their grandma's damaged Family Bible to corporate bankers with a large financial deal to be bound, from photographers with a new portfolios to grand menu covers for 3-starred restaurants, and not forgetting the humble PhD student about to become a Doctor of Philosophy. Fashions change quickly, so what was a big earner in the 90s is now no longer viable. But we adapt to change by applying our age-old skills to new sorts of books. 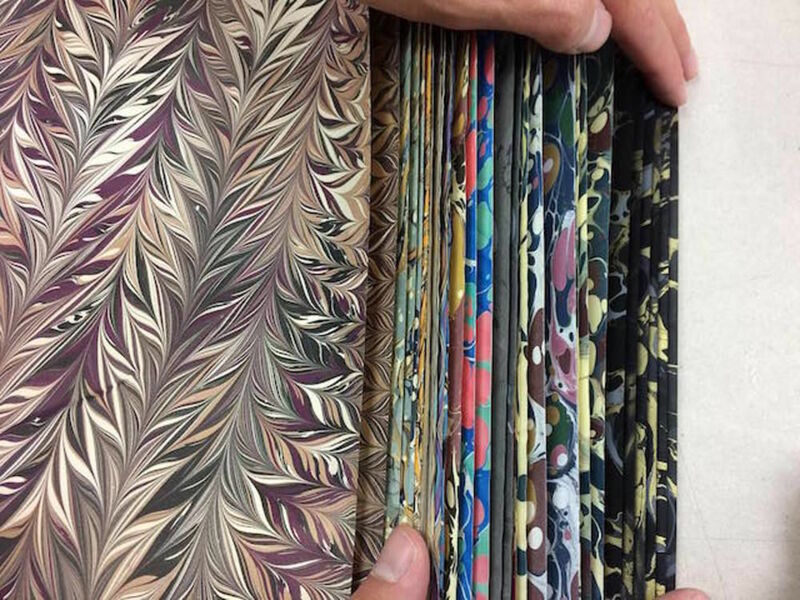 A selection of marbled papers supplied by Jemma Lewis Marbling. An example of edge decoration. What's the most unusual commission you've ever received? 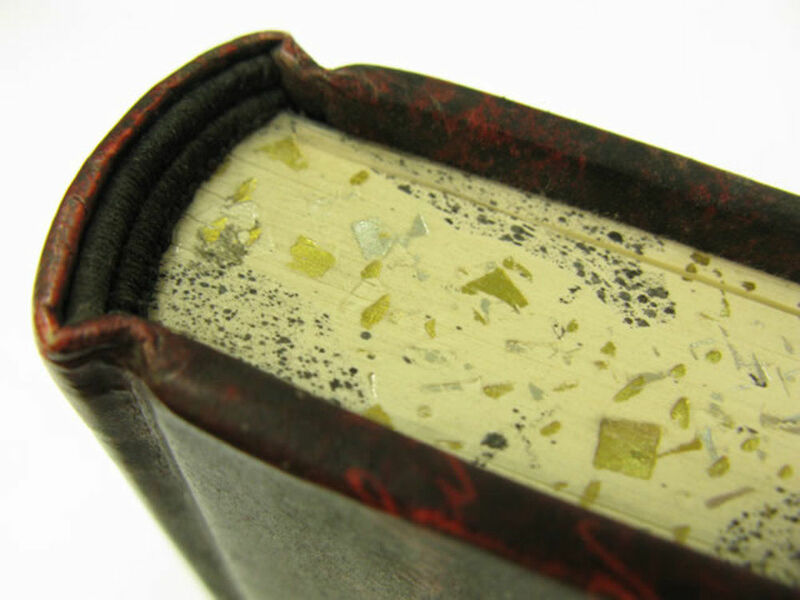 A double sided book covered in a foal skin for a Harry Potter prop. Dragon Breeding for Pleasure & Profit was the title. What's the most challenging part of your job, and the most enjoyable? Paying the rent is a trying part of the job. A very special part is seeing the joy our books bring to our customers, but the best is being in a happy, laughter-filled bindery with enthusiastic binders who love their trade. 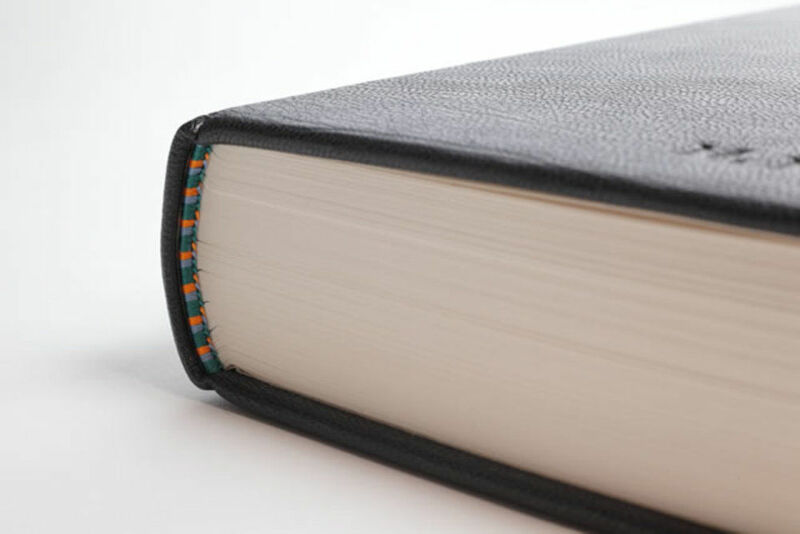 Japanese binding is one of the many services Wyvern offers. 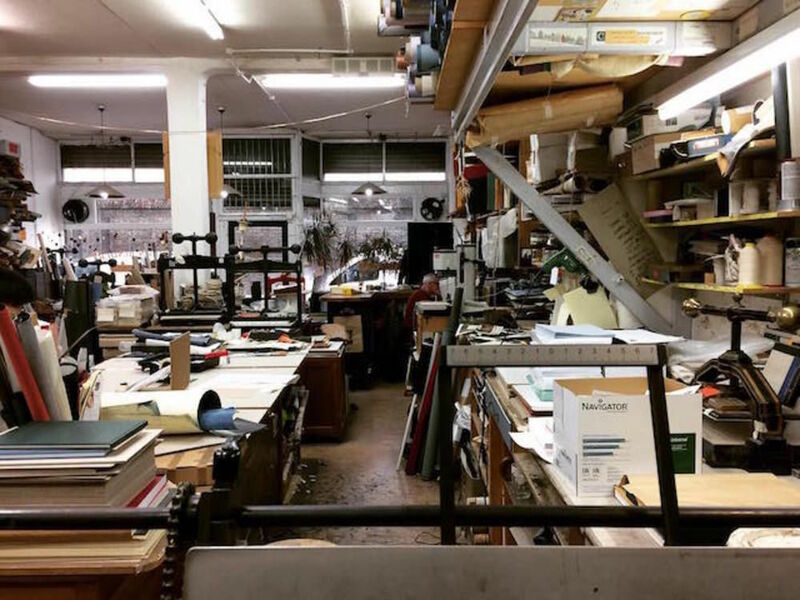 The bindery has 1,000 sq feet, of which each inch is covered either in benches, shelves or binders. The double fronted shop gives us light and a window to the passing world. 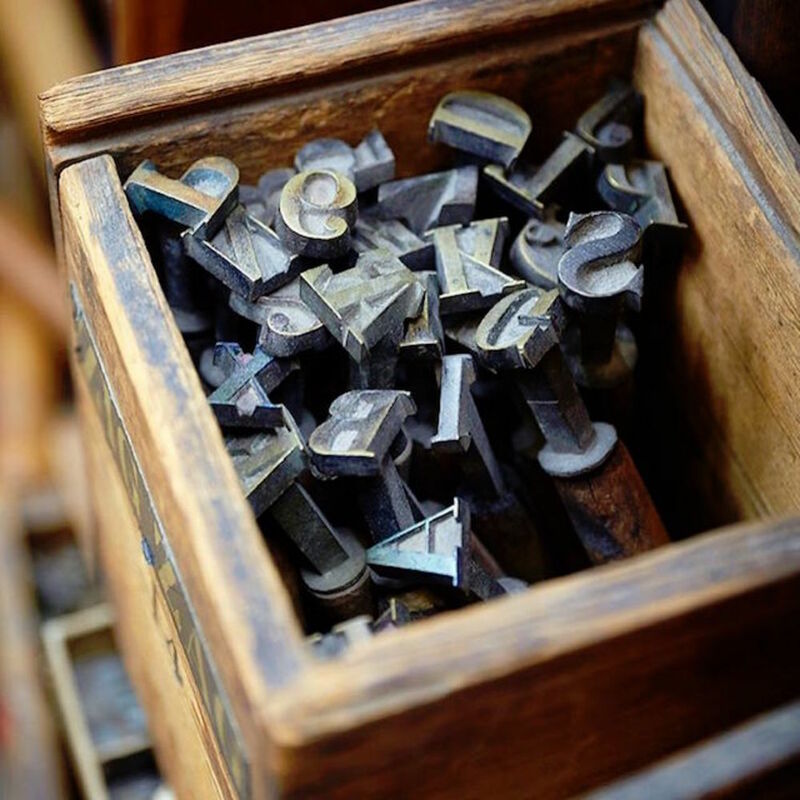 This is a workshop where books are made, in the heart of London. An example of the fine binding produced in the workshop. 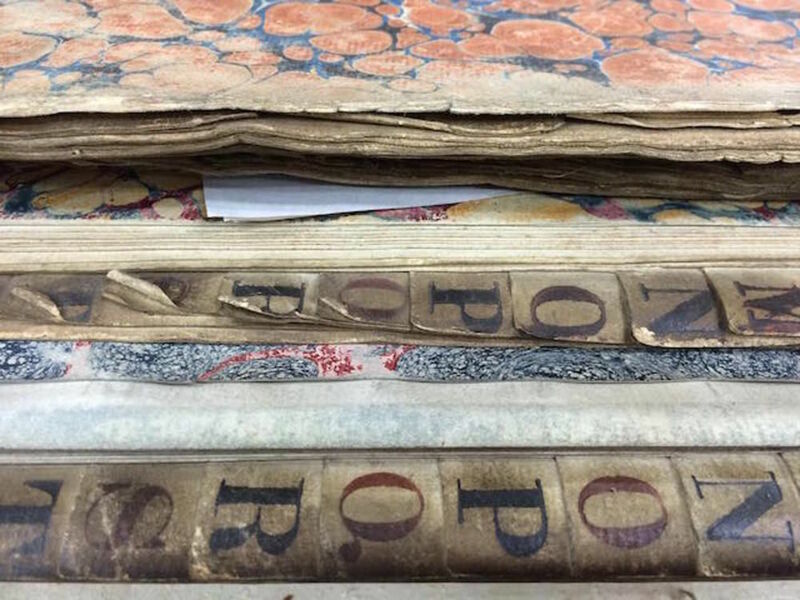 The restoration of the Henry Poole Archive has taken ten years, and it gives great satisfaction that 140 very large ledgers are now in a fit state to be used. To keep on attracting interesting clients, and to secure the future of hand craft book binding by passing on the skills and secrets of our own wonderful trade. Henry Poole ledgers in the process of being rebound.